April 2015, DJI launched the $799 Phantom 3 quadcopter revolutionary for its stability, ease of use and autonomous return to home and auto-land features. 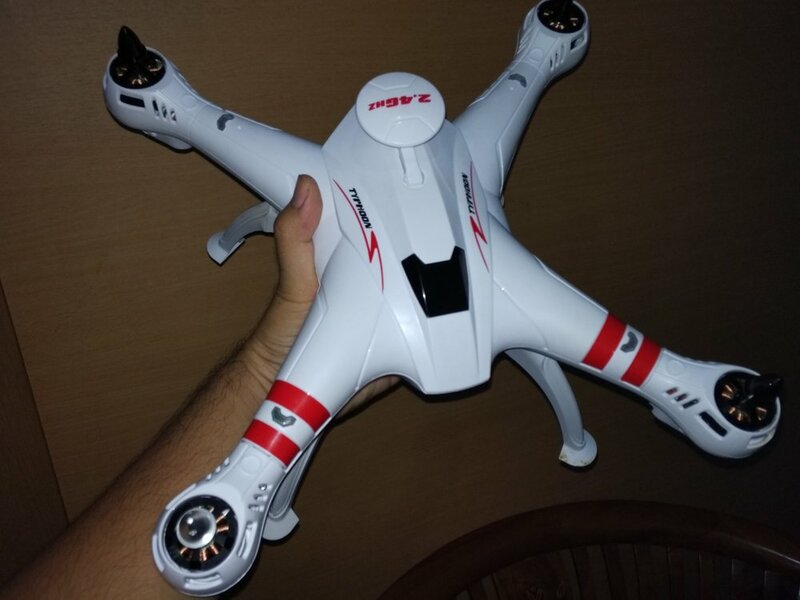 Fast-forward to present time you can get a similar feature laden yet inexpensive drone the $139 Bayangtoys X16. Originally the cheap X16 did not have some these capabilities, but since the launch this summer of the GPS version, distinguishable from older versions by its black motors, it is practically like having a classic Phantom 3 at a fraction of the price. While the X16 does not run on open source flight computer there are a lot of hacks and mods on the internet to increase their capabilities. One of the things that surprised me after tinkering with the X16 and loading way too heavy payloads is its resistance to crashes. It is amazing how this toy comes out without damage from really big falls. But first things first, although the quad works great directly from the box the manual is written in a terrible English, so this cheat sheet that we have prepared will be very useful for first time pilot. You must take into account some particularities of the Bayangtoys X16 if you have flown other multicopter type drones. Similar to DJI Phantom’s original flight mode, by default it uses GPS to maintain its position, the motor stick remains always centered and the speed of descent limited, making it practically impossible to crash it by accident. The other mode of flight is altitude hold. It basically means your X16 will hover steadily in its vertical position, but it will drift with the wind since it’s not used GPS to hold its horizontal position, this mode is more responsive especially if we activate the high rate control mode. A usual upgrade is to mount the 9450 props from Phantom 3, these offer the ability to self-tight so tools are not needed. DJI 9450’s were a revelation, easy hover with all the same weight and handled much better than the original props. Also gave me some extra minutes flying time. It is also recommended to change the battery leads provided by a more common one such as the XT60 connector for a greater selection of available batteries . After this most 3S drone racing LiPos fit perfectly. Recommended ZAP POWER 2200mah 30C same capacity as original, better C rating , half the price. As mentioned, this cheap quadcopter has a lot of mods. Especially interesting is that the frame is a copy of the Syma X8C quad so that most third-party accessories or 3D printed parts will be compatible: camera mounts, landing gear or gimbal video stabilizers. Although the provided transmitter is comfortable and functional, with a remarkable range. Some drone hackers are currently working on adding support for X16 protocol to the transmitters that run the open software such as Deviation. There is also the option of replacing the original propietary onboard flight controller with a new one, like the popular Naze32 or SP Racing F3 clones can be found for prices under $15. Something that some users have already done. SP F3 is a great alternative to convert our drone to open source. A firmware that would adapt very well to a upgraded X16 is iNAV Flight. Started as a small hobby project for personal needs INAV grew into something bigger – an entry-level autopilot for R/C enthusiast community. While using a cheapest possible hardware it still offers a lot of cool features: Return to launch both by pilot command and R/C link loss, Hold position and altitude modes or Way-point autonomous flight. Moreover, INAV is 100% open source, meaning you don’t get any hidden or proprietary code there.